Harrison Youth Soccer Club in coordination with the Harrison Recreation Department is pleased to announce winter development is back!!! Now bringing futsal to the very youngest ages in our club. 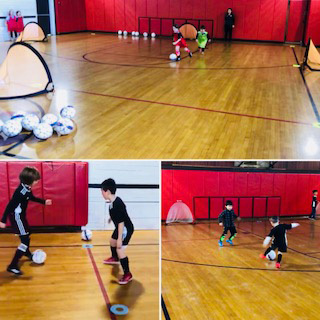 (Futsal) is world renowned as one of the best forms of soccer endorsed by FIFA at promoting specific skill development & technical Player attributes. The aim of the Futsal clinic will be inspiring creativity, flair and a fearless player mentality. The Players will have fun while learning in a high energy environment, working on technical skill repetition/application, improving speed of play and game based decision making. HYSC are a direct youth affiliate club of the New York Red bulls, through this partnership we provide an elite level pathway for player development with a year round talent identification process, for players to have the opportunity to take their game to the next level and tryout for Red Bulls Regional Development Schools & Academy .